Deborah Strauss (violin, accordion, vocals, dance) and Cantor Jeff Warschauer (guitar, mandolin, vocals) are sweet and soulful performers who draw from klezmer, Yiddish, Hasidic and liturgical music and culture, adding their own original compositions and song settings. Their music is grounded in tradition, yet thoroughly contemporary. They are also great teachers and we are delighted to have them lead us in our Spotlight on Klezmer 2019. For over 25 years, Deborah and Jeff have been at the forefront of the international klezmer and Yiddish music scene. They were both longtime members of the Klezmer Conservatory Band, one of the premiere groups of the klezmer revival, and have performed with legendary violinist Itzhak Perlman on film and in concert. As the Strauss/Warschauer Duo, they have performed to overwhelming acclaim in such diverse venues as the Philadelphia Folk Festival, Great Britain’s Fiddles on Fire, the Jewish Culture Festival in Cracow, Poland, and the Art of Yiddish in Los Angeles with the late actor and singer Theodore Bikel. Deborah and Jeff are Yiddish speakers, and have researched and collected Yiddish and Hebrew songs and instrumental melodies since the 1980s. 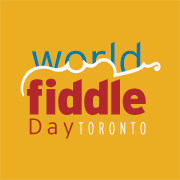 They lead some of the most popular klezmer music, Yiddish song and traditional dance workshops throughout North America, and Eastern and Western Europe. Both teach regularly at KlezKanada, Yiddish Summer Weimar, and the Warsaw International Summer Seminar in Yiddish Language and Culture. Cantor Jeff Warschauer is internationally renowned as a one of the foremost exponents of the klezmer mandolin, as an innovator in the development of a klezmer guitar style, as an expressive Yiddish singer and as a skillful and inspirational educator. A graduate of the H.L. Miller Cantorial School at the Jewish Theological Seminary, Jeff is Cantor at The Jewish Center of Princeton, NJ. He is on the faculty of Columbia University, and is a Founding Artistic Director and Senior Artistic Advisor of the KlezKanada Institute for Yiddish/Jewish Culture. Deborah Strauss is one of the leading klezmer fiddlers of her generation. She is also an award-winning children’s educator and a highly regarded Yiddish dancer and dance leader. She has performed with the Klezmatics and appears in the film, Theodore Bikel: In the Shoes of Sholom Aleichem. Deborah is co-director of both the instrumental music program and the dance program at Yiddish New York and, with Alan Bern, is the author of Klezmer Duets for Violin and Accordion, published in 2017 by Universal Edition, Vienna.